with video, voice chat and much more! Simply create a room and share the link to invite others, then you can communicate privately using video/audio and collaborate using mini-apps called tabs. Quillpad, a rich text editor. All video and voice comms are encrypted. None of the data in your tabs is stored on the server; it gets synced from one participants browser to another 🔮. There are no ads or tracking on this website. oorja is a personal project. It would be splendid if you could contribute towards financing its server and development costs. oorja source code is public and free for personal use. 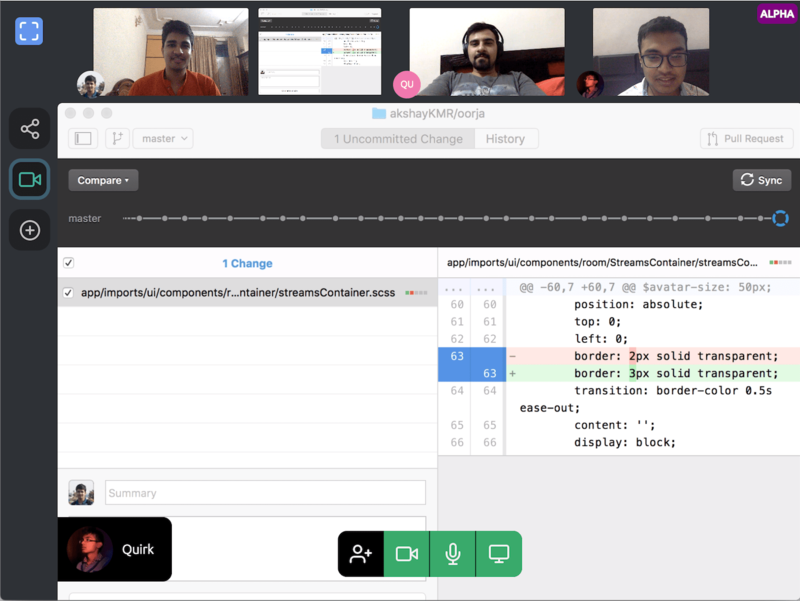 It is built with React, WebRTC, Meteor and Elixir. It is extensible by design. The tabs are react components which utilize a simple but powerful mini-api (using props and some event listeners) to add more capabilities to the room on demand. If you experience connectivity issues, well, note that the app is still alpha version. Also, It may be because of firewalls or some corporate network configuration. Hi, My name is Akshay Kumar and I am a product engineer. oorja is a personal project of mine. Got some feedback or something to say?